With the holidays quickly approaching, I feel I would be remiss if I didn’t at least broach the subject of booze. I should also point out that I am no longer a regular partaker of the “spirit water”, myself, but I don’t have a problem if you do. In fact, if you drink heavily, I could find it entertaining. I might laugh at you with your Merlot stained teeth, singing loudly on the karaoke. Don’t quit your day job. You know who you are. And I might take pictures of you doing a pole dance for your boss (who bats for the other team, by the way), at the office Christmas party. You probably shouldn’t ever try to run for public office. I know it seems hypocritical of me to laugh at you now, since there was a time when I was right there with you, downing tequila shots and dancing on top of the next speaker box. In fact, that’s how I met my husband. Picture if you will: a young woman, wearing a denim miniskirt, cowboy boots and a black Stetson. Dancing on top of a speaker box. A handsome young cowboy is leaning with his back against the box, talking to his friends. Someone spills a drink, causing the young woman to slip. As she falls on her bottom atop the speaker box, one leg lands on either side of the cowboy’s head. At this point it looks like he is giving her a piggy back ride. He will tell you that from his perspective, he saw one cowboy boot clad leg appear to either side of his face…In surprise, he turned around. Owing to the previously mentioned mini-skirt, I had to marry Greg at that point. He’s a good ol’ cowboy, and a hotty–a wonderful partner in life. So don’t ever let anyone tell you that you can’t meet good people in bars! Statistically, the produce aisle at your grocery store may yield a higher percentage of suitable mates, just don’t rule a good country western bar out entirely. Then there was the night Greg’s cousin got married. Have I mentioned that I am not a big user of curse words? In fact, 5 years into our marriage, I had never dropped the queen-mother of curse words. It’s funny though, what a fifth of Southern Comfort will do to a lady. I woke next morning to the realization that I had dropped “the big one” approximately 200 times in front of Aunt Janet. I used it in every way that it is possible to use it, and made up some new ones. So entertaining of a spectacle was I, that Greg’s cousin went and woke his wife up, dragged her out of bed, and brought her down to the courtyard where I was holding court. Yep. I won’t be seeking public office, either. Recovering from such shenanigans became harder and harder. Not only the physical aspects of the morning after, but the social ones as well. Unable to get up. Dizzy. Swooning. Achy. Stunned by the realization that you may, or may not, have “uneaten” your Mexican Combination Plate #2 in front of people that know your parents. “I cannot recall” is, although truthful, not a plausible defense to behaving like a baboon. So I quit doing it. I may not be as “fun” anymore, but I sure feel MUCH better the next day. I probably don’t think other people are as much fun, either, because my perception of them is no longer tainted by the rose-colored glasses of a high blood alcohol content. I still don’t mind watching–I just do it with more of curious and astonished fascination with the absurd, than I do because I think it’s funny. I only drink on rare occasions these days. Maybe one adult beverage every 6 months. And even then, only when I know that I won’t need to drive myself, or anyone else, anywhere. Because my palate isn’t pickled by tequila and Southern Comfort anymore, my taste for booze is much more “girly” these days. Tequila straight up, Texas Tea, and Mind Erasers are no longer on my menu, but I do love a Hot Buttered Rum when it’s cold out, and a Watermelon Mojito to beat the summer heat. You know, sensible beverages, rather than those designed for maximum impact in minimal time. Beverages that you want to take the time to enjoy, and savor. 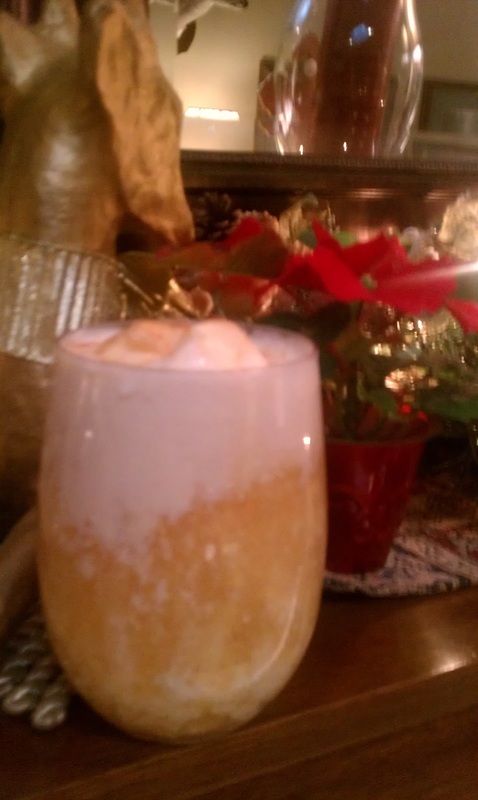 I am including several favorite drink recipes for the Holiday Season. I’ll be celebrating Christmas, drinking a hot buttered rum. I hope you enjoy whatever events you are celebrating, with whatever you wish to eat and drink. But, please enjoy responsibly! The social life you save may be your own! Place all ingredients into a saucepan and heat until hot. Serve in mugs with a scoop of vanilla ice cream and a sprinkle of cinnamon sugar. Place one heaping tablespoon of Hot Buttered Rum Batter (see below) into an 8 ounce mug. Add one shot of dark or spiced rum. Top off with boiling water. Stir and enjoy. Beat together all of the ingredients until smooth. Use as needed, and store in jar or plastic container in refrigerator for up to 1 month. 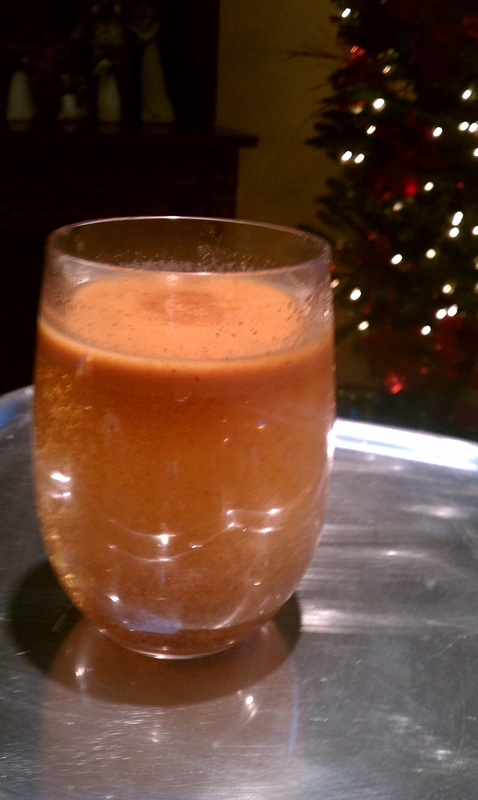 Place wine and brandy (or juices for the kiddos), and brown sugar in a stock pot over medium low heat. Add orange, lemon and apples. Place the allspice, ginger, and cinnamon sticks into a piece of cheesecloth, and tie it into a bundle. Too it into the pot and bring all to a gentle simmer. Reduce the heat to low to keep hot. Serve hot in mugs with a cinnamon stick for stirring. My hubby loves to cook and mix things up. I know we’ll be trying these. Thanks for sharing such fun yummy recipes. And stories….I love the stories….you are wonderful!!! That is a great story! I wish I could have been a fly on the dancefloor of that country western bar! Love the drinks you posted too, funny enough, we never make cocktails at home. Always wine….I think the next dinner party I have, I will have a welcome cocktail ready! Thanks for the inspiration! I partake minimally too these days. But I absolutely cannot wait to try these out on holiday guests! That buttered rum sounds divine!! Holy crap, all three of those drinks sound AMAZING. Thanks for sharing these! I am normally one who prefers craft beer, but during the holidays, I love using warm spices in mixed drinks, such as the mulled cider. My bf’s mom has a fabulous wassail recipe, of which I have stolen and used every Christmas since. I have never had hot buttered rum before, but upon reading the recipe, my taste buds began tingling. I mean, if you’re gonna partake, then it should be something GOOD like this, right? Once you try hot buttered rum, you’ll be hooked. The hot apple pie sounds wonderful. 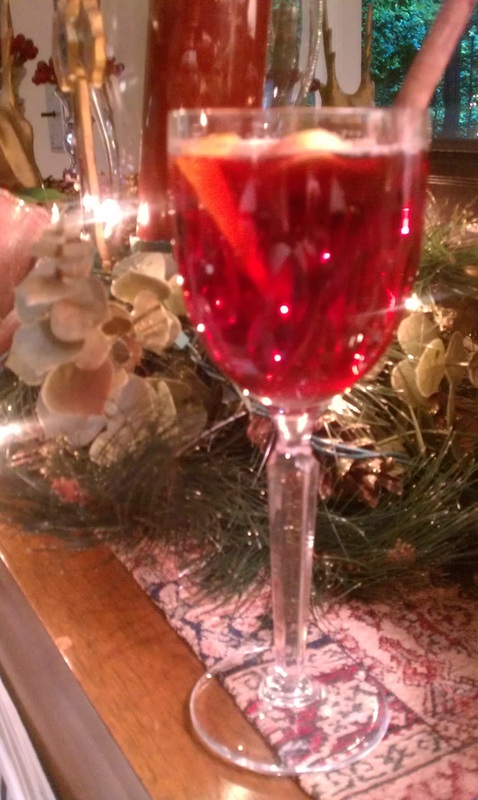 My favorite warm winter libation has become Wassail! When I was up north, we’d have a carrolling party. When we came back in from singing around the neighborhood, that was a wonderful way to end the evening. 🙂 Thank you for the new recipes! What a great story about meeting your husband! I stay comfortably and happily away from alcohol–the “fun” stage passes too quickly into plain old sleepiness, and small amounts affect me quickly. I’ll have a glass of wine or champagne with my husband on occasion, but I don’t get a lot of enjoyment out of it! Thank you….glad to be of service! Um, I don’t think it’s the geography….I’ve known some yanks that could drink a whole frat house under the table. Oh, yes, and I used to be one of them. It was the boots and legs around the neck that I was referring to. Not that I would have minded, of course. Oh…Haha! That makes more sense! For those who prefer plain old hot spiced cider, just grab a handful of cinnamon sticks, whole nutmegs, and cloves and wrap them in cheesecloth (or put them in a tea ball, whichever comes to hand). Fill a party-sized percolator with cider and put the contained spices and let it heat. DON”T USE THE TUBE OR BASKET, the cider will scorch. Once it’s hot, take out the spices. Let the percolator keep it warm and the cider will last through an entire open house. I love that, too….I mix some cranberry juice in with it….I give it out to our employees around the holidays, since it would generally be frowned upon for the HR manager to hand out booze. If you want something alcholic, there are recipes for Poinsettia Punch (http://wp.me/p2nzMi-bK) and a terribly rich eggnog (http://wp.me/p2nzMi-bU) on my blog. Thanks…I’ll be trying the eggnog! What a great post, funny and honest! I can relate, fortunately or unfortunately, and have given it up as well. One of my “I can’t pull this off anymore” moments came after a party where, if you would have asked me, I was the prettiest most interesting person there. When I viewed the pictures a few days later i was shocked to see that in everyone I was sporting a cabernet stained grin. That and the food all over the front of my shirt really made me look sophisticated and polished. As always, thanks for sharing. Love, love, love your posts. Funny how the morning after picture is always quite different once the beer goggles come off, isn’t it? I think back to times when I just knew I must have been the life of the party and think, wow, I must have been a real doofus. Hot Buttered Rum has eluded me in years past but I think I am going to make a concerted effort this year. That recipe sounds oh so good. These sound delicious and your story of meeting your husband is PRECIOUS. So glad I read this tonight! Thanks! Never before, and never since has by drunken buffoonery lead to something lovely! Yeah, Christine, I think I only have two functioning brain cells left and one of them is the one that remembers where I parked the car each time I go to the grocery store, so I don’t want to lose it to alcohol. Your cocktails and mocktails make me ready for fall. I will DEFINITELY be trying these! I’ve always preferred the “girlier” (aka more delicious) tasting drinks – so these are perfect! “uneaten!” I absolutely love that term and will add it to my drunken and disorderly vocabulary. I laughed out loud at this title. Oh, maybe I should buy stock in Depends?! It means you get me!! I love it when people get me!